Harry N. Abrams, 9781419710353, 32pp. 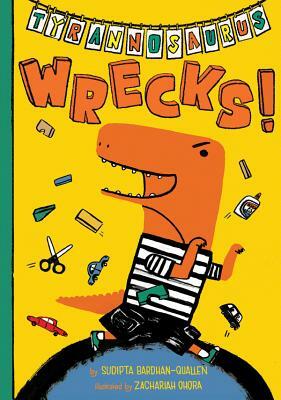 Sudipta Bardhan-Quallen is the author of many children’s books, including Tyrannosaurus Wrecks!, Quackenstein Hatches a Family, and Brobot Bedtime. She lives in New Jersey with her family. Zachariah OHora is the illustrator of several picture books, including Stop Snoring, Bernard! He lives in Narberth, Pennsylvania. Visit him online at zohora.com.